Ewens, Gould & Allen (only listed in Kelly's trade directories between 1889 and 1894) was a glove manufacturing partnership who were in business by 1882; the three partners being Edward Samuel Ewens, George Henry Gould & George Richard Allen. 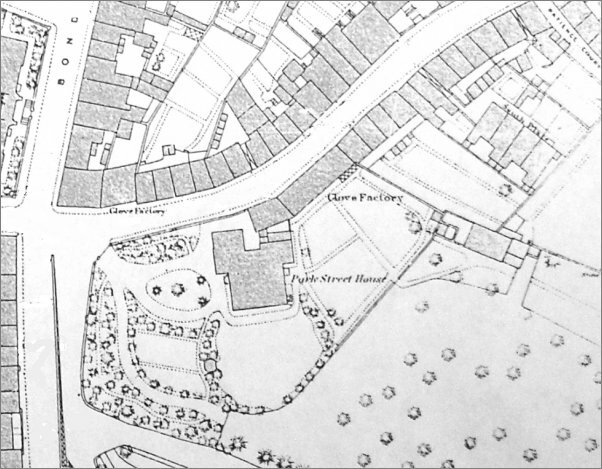 In December 1894 the South Street factory was sold (see below) and in its edition of 19 April 1895 the Western Gazette reported the dissolution of the partnership, the business to be thereafter known as Ewens & Gould. 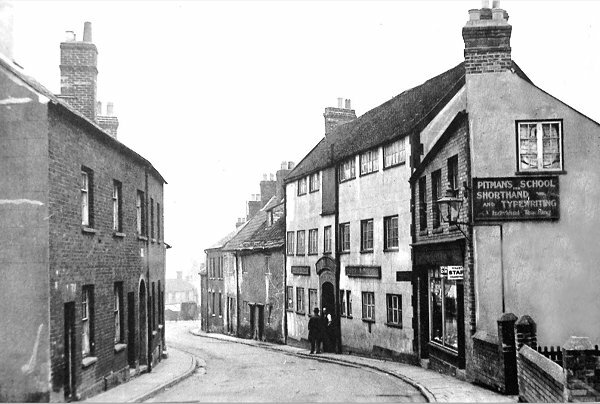 Ewens & Gould left the South Street premises and the properties were bought by Ebenezer Pittard who made the house his home and renamed it Woodlands. In the 1901 census Pittard gave his occupation as 'leather glove manufacturer' even though his main trade had been more closely connected to leather dressing. It may be that Pittard used the factory himself after the departure of Ewens & Gould. A notice placed in the Western Gazette's edition of 10 March 1893 - intriguing! 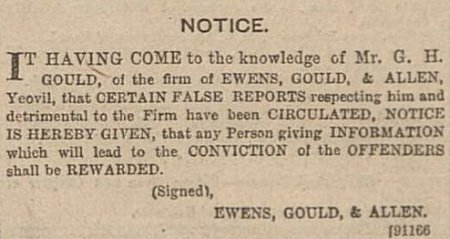 Notice of the sale of the Ewens, Gould & Allen glove factory in South Street, placed in the Western Gazette's edition of 14 December 1894.